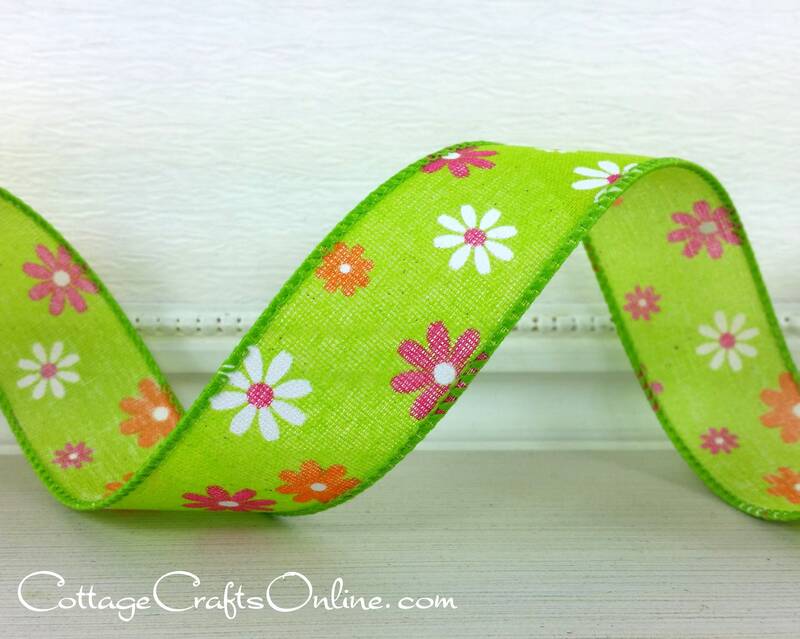 Bright pink, white and orange flowers are happily scattered across a vibrant green linen style fabric ribbon, 1 1/2" wide, with a wired edge covered with green thread from Lion Offray Ribbon. The last two pictures show the ribbon along with Anisha Torrid Orange. This listing is for a 3 yard length. When you purchase more than one length, your order will be cut as one piece.